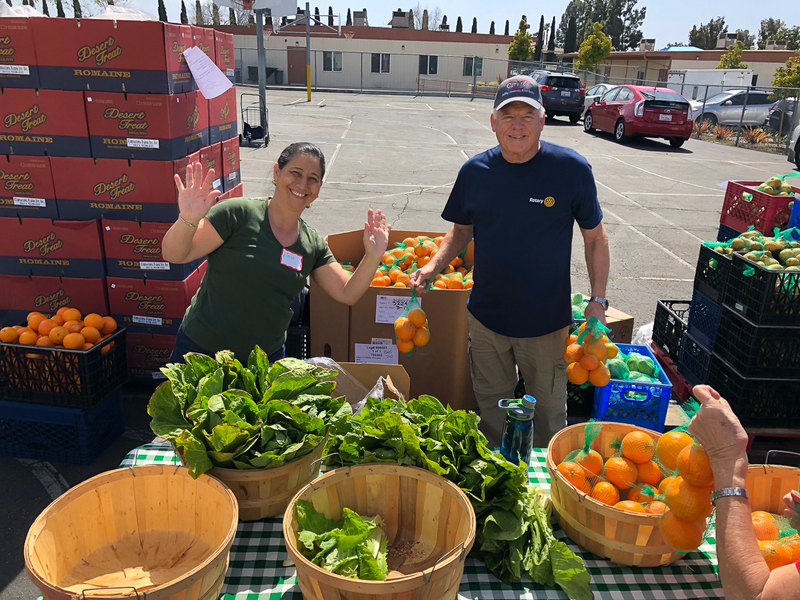 Topaz Elementary School in Fullerton once again hosted a fresh produce distribution provided by Second Harvest of Orange County. 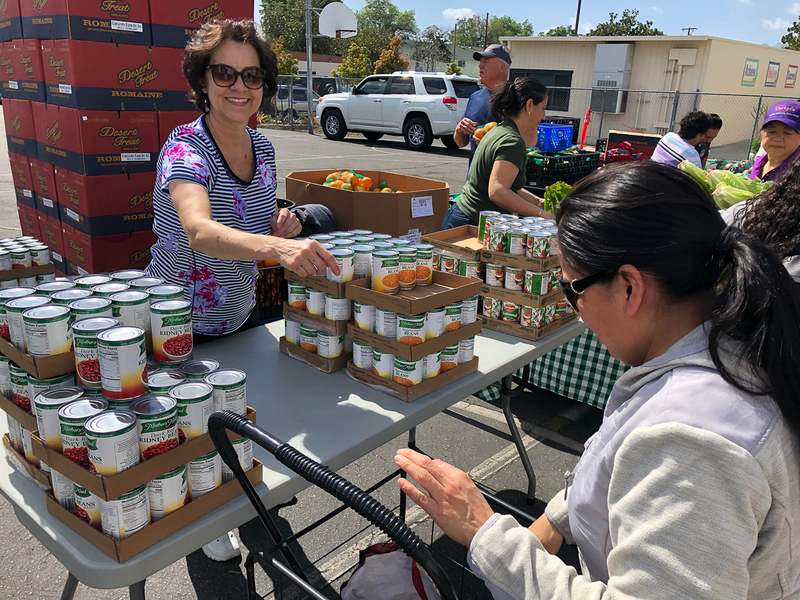 Parents and neighbors came to receive over 40 pounds of fresh vegetables and fruits, as well as canned goods. 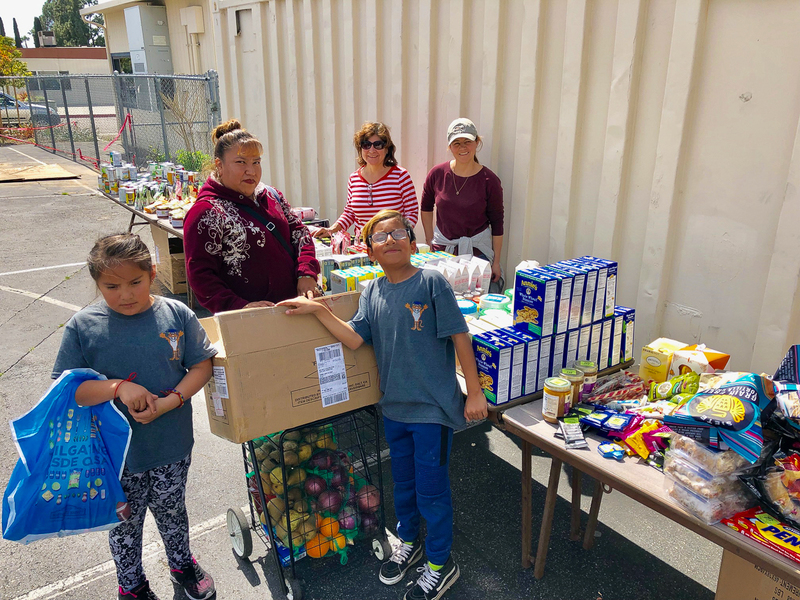 Additionally, Bed, Bath and Beyond of Yorba Linda generously provided overstock items for the District to distribute to needy families. “Thank you Bed, Bath and Beyond,” Jon Matson, McKinney Vento Homeless Liaison, stated. 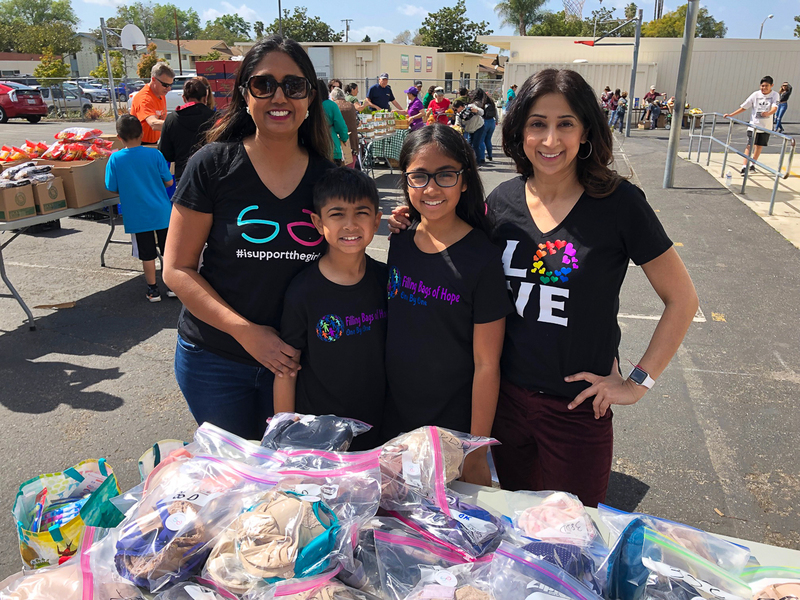 In addition to all of this, Woodsboro Elementary students Aron Bhavsar, Alisha Bhavsar, and Shreya Shah collected over 1,000 dental hygiene products from a drive they held at their school. They distributed 600 of these items to families at the Topaz Second Harvest Distribution that very same day. The remaining items will be used to make hygiene bags for students attending Placentia-Yorba Linda Unified School District science and summer camps. The District also would like to acknowledge the Rotary Club of Yorba Linda for their continuous support of this event. Their members have volunteered countless hours all year by helping distribute, set up, and tear down. McKinney Vento is a federal program for students who are living in transitional situations such as doubled or tripled up with other families for economic reasons, or living in homeless shelters, campgrounds, or cars. Be the first to comment on "Topaz Elementary School community benefits from multiple generous donations"